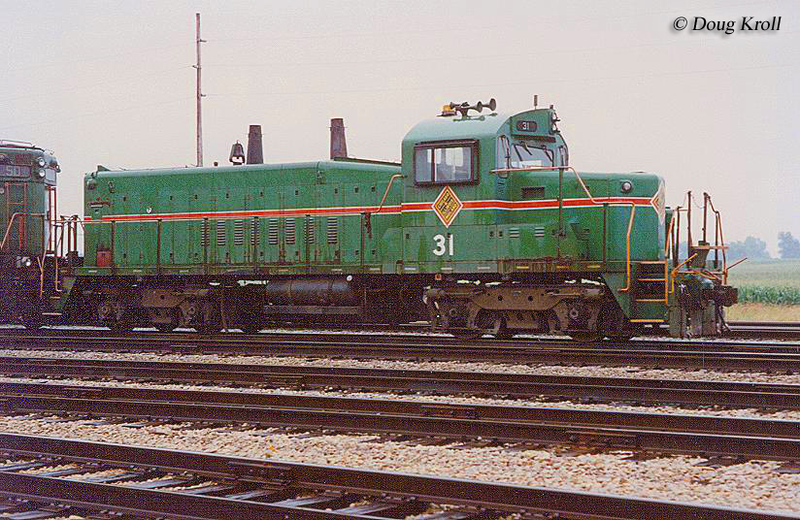 Perhaps the rarest cataloged diesel Electro-Motive ever offered was its RS1325 road-switcher. Developed during the early 1960s this locomotive was intended for light-duty chores, and was specifically meant for use in passenger terminals switching cars. As such it was to utilize a high, short hood for a steam generator. Interestingly, the design never drew much interest (perhaps, in part because rail travel was waning by that time) and the only two ever built were ordered by a short line for use, ironically, in freight service. Incredibly, they can still be found in service today more than 40 years after they were built. By 1960 Electro-Motive was the established manufacturer of diesel locomotives, which all began with its popular and reliable FT cab units of 1939. After an entire line of F models sold thousands the builder turned its full attention to the road-switcher market in 1948, first introduced by competitor American Locomotive Company (Alco) in 1941 with its RS1 design. EMD at first stumbled with its initial BL2 but rebounded strongly with the GP7 a year later, and then again with the GP9 of 1954. Between both models the manufacturer sold several thousand examples. Much of its success was due to its attention to reliability and redundancy; building a locomotive that would operate without serious issues as well as being easy to maintain (thanks to parts that were interchangeable among different models). The 1960s also spelled the end of the romantic era of rail travel. Most railroads had purchased their final large orders of equipment during the 1950s in an attempt to stem the loses and lure the public back to the rails. Unfortunately, it did not work and folks continued to abandon trains for automobiles and air travel. Still, manufacturers such as EMD continued to offer models for passenger service, notably the E9 that remained in production through 1964. It also decided to market a different type of locomotive for this service in 1960, the RS1325. The light road-switcher was designed to be used in terminal work, switching cars. It was essentially a lengthened switcher, with an off-set cab and high, short hood that would have held steam generator equipment (to keep passenger cars warm). The "RS" simply stood for Road-Switcher and "1325" donated its horsepower rating, 1,325 (it was powered by EMD's late era, tried and proven prime mover the model 567D that carried 12 cylinders). The locomotive was 52 feet, 5 inches in length and used Flexicoil trucks. Interestingly, while Alco offered an entire line of "RS" road-switchers the RS1325 was the only of its type within Electro-Motive's catalog. Truth be told the locomotive was not unlike EMD's NW5, a design that harkened back to the mid-1940s. It also was sort of a half-switcher/road-switcher that sported a high, short hood which could also be equipped with a steam generator (overall the design was actually quite similar to Alco's successful RS1). The NW5 ultimately sold only a few examples and at the time EMD expressed no interest in pursuing it further. For whatever reason railroads also found the RS1325 of little use. Again, perhaps the answer lay in the fact that the general public was not returning the rails as railroads had hoped in the 1950s. 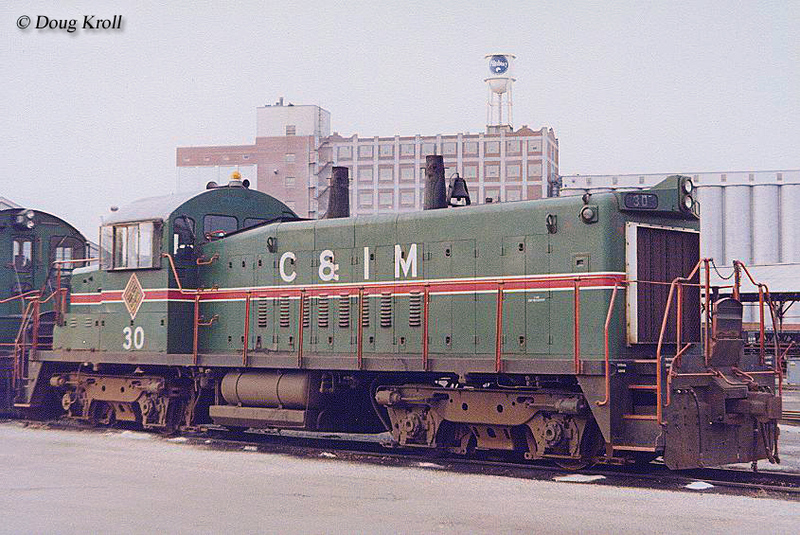 In the end, just one railroad found any interest in this unique EMD design, the Chicago & Illinois Midland located in central Illinois. The C&IM intended to use two, #30-31, in coal service (the road's primary source of traffic) as well as normal switching assignments. However, since steam generators would obviously not be needed the railroad ditched the higher short hood for a lower one; a sloped design like that found on the GP20 with a one-piece, full length front windshield for improved visibility. During the next 36 years the two RS1325s remained in regular freight service on the C&IM wearing the road's common green livery with red trim. During 1996 the railroad was acquired by the Genesee & Wyoming (a large short line conglomerate) where it was renamed as the Illinois & Midland. 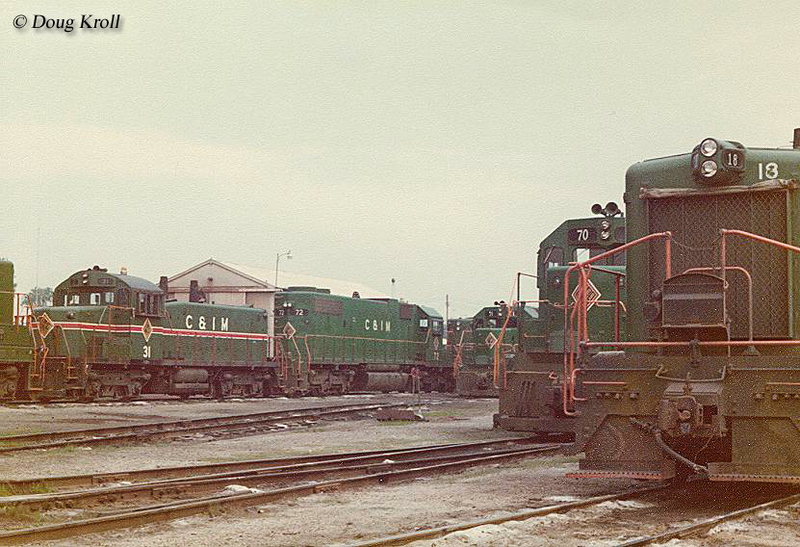 The locomotive's then changed their green and red for G&W's corporate orange and black. 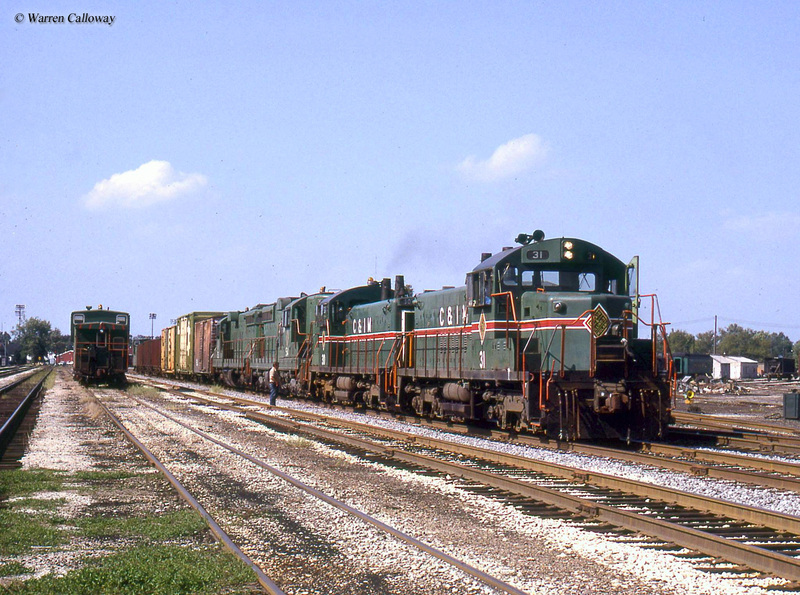 Today, more than 40 years since the pair first entered service they can still be found pulling freights for the Genesee & Wyoming; one (#31) remains at the Illinois & Midland while another (#30) has since been moved to another G&W property, the Atlantic & Western Railway linking Brickhaven and Cumnock, North Carolina. With any luck, following the duo's retirement, whenever that time comes, they will be donated to a museum.